Sola Scriptura (Latin for “scripture alone”) is one of three or four—or five or six—“solas” that attempt to evoke the basic principles of Lutheran theology (or even Protestant Theology). 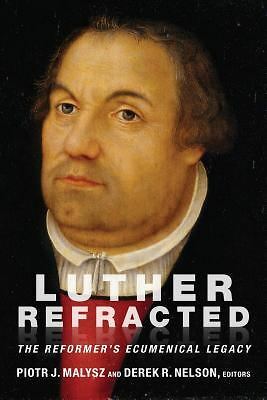 No matter how many solas you care to list, it would be difficult to deny that Sola Scriptura is an essential component of the Lutheran DNA. The slogan Sola Scriptura developed out of the perception that certain Christian teachings and practices—especially some teachings and practices formulated during the medieval period of Western Christianity—had little or no Biblical basis. Recognize that Scripture Interprets Scripture. The Bible says a lot of things. And, taken out of context, a Bible verse or passage can be used to support just about any crackpot notion. On the other hand, the Lutheran approach understands that Scripture’s message is, generally speaking, easily apprehended. When one encounters seemingly unclear or confusing Bible passages, then those passages need to be interpreted in light of (a) the clear passages and (b) the Bible’s overall witness to a gracious God who justifies the ungodly on account of Christ. When reading and hearing the Word of God, Discern Law and Gospel. The art of discerning Law and Gospel, Command and Promise, is essential to an understanding of Sola Scriptura Lutheran-style. “The understanding of nearly all scripture and all theology depends upon the correct recognition of law and gospel.” It is, of course, possible to contend for the principle of Sola Scriptura but at the same time interpret and proclaim scripture incorrectly. Most of the religious mischief and harm done in the name of Holy Scripture can be attributed to the improper discernment of law and gospel. For more on the discernment of Law and Gospel, see “A Brief Introduction to Law and Gospel” on this website. Along with Sola Scriptura, two other solas are commonly identified as core Lutheran tenets: Sola Gratia (“grace alone”) and Sola Fide (“faith alone”). In addition—in order that the object, author, and finisher of Christian faith receives proper recognition—Solus Christus (“Christ alone”) is often included in the enumeration of solas. Furthermore, those who want to emphasize the importance of God’s “Word Alone” will have Solo Verbo in mind. And in some of the more pious lists of solas, one might even find Soli Deo Gloria (“to God alone the glory”). The Book of Concord: The Confessions of the Evangelical Lutheran Church, eds. Robert Kolb and Timothy Wengert (Minneapolis: Augsburg Fortress, 2000) 486.